Earlier today, LG Philippines held a special event to celebrate the opening of its first ever Information Display Showroom in the country, which showcases the various innovations that have earned the trust and confidence of customers around the world. LG continuously works to provide displays that are fitted and most ideal for use in command centers. The company’s 0.44-mm bezel display for example, can be installed in the slimmest wall, delivering crisp and clear images for large-scale deployments. 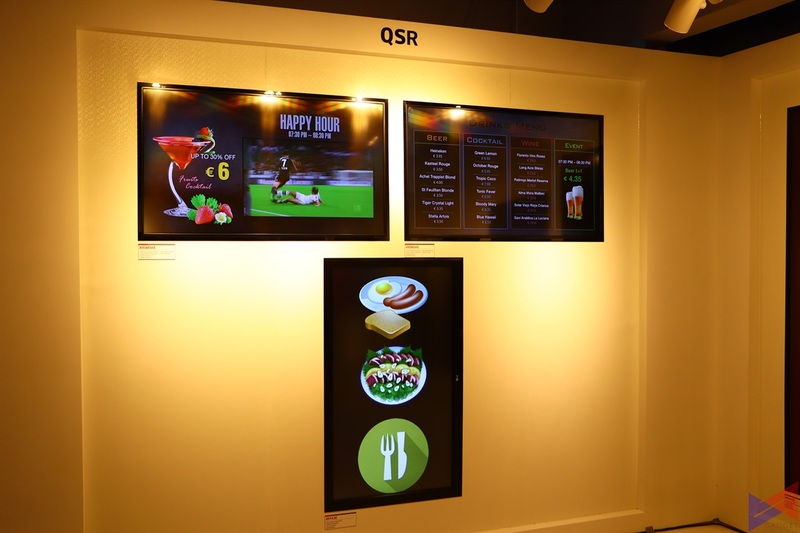 For QSR businesses like fast food chains, LG has specifically designed brighter and clearer menu screens, as well as interactive touchscreens for stores which implement self-service kiosks. 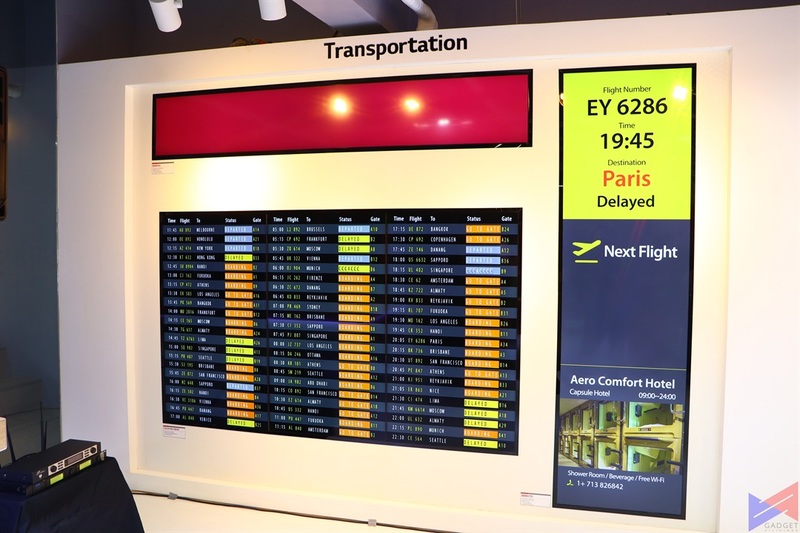 These high-definition signages can optimize operations and make businesses more efficient. 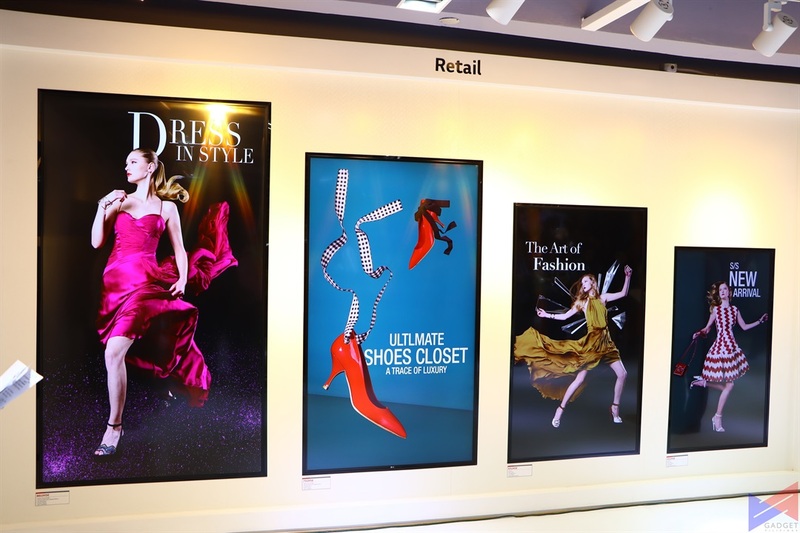 For transport terminals like bus hubs, train stations and airports, LG offers 86-inch and 88-inch stretch displays. Unique to the brand, these displays can show four different contents in one gigantic HD screen, perfect for ads and announcements that can easily be caught by the public’s eye. LG displays have elevated presentations to a more interactive and immersive learning experience. The company’s 86-inch ultra HD Touchscreen in particular, has 20 touch points, allowing the user to scribble on the screen to clarify points, and effortlessly facilitate digital transactions, display dynamic ads, take screenshots and screen videos, and even send files directly to email. With a very dynamic clientele, the hospitality industry is one that’s subjected to constant change. To address this, LG designed various displays to fit the theme and design of any property. 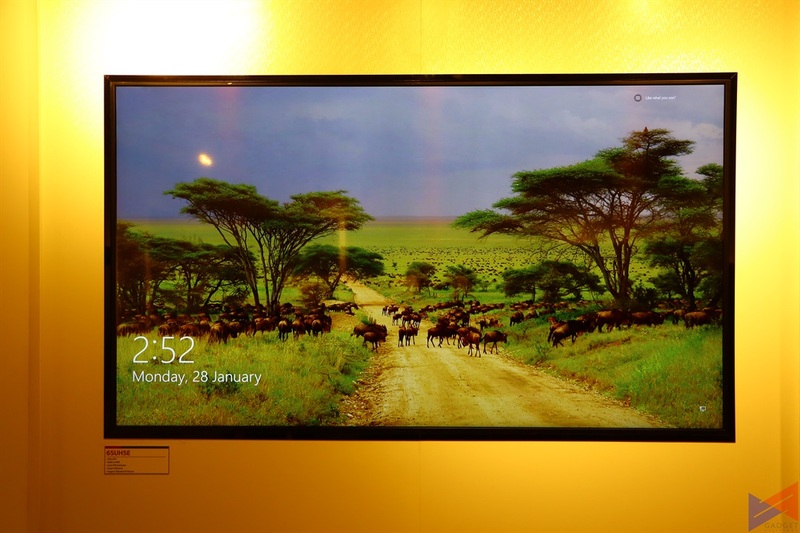 From a display that’s as thin as a wallpaper, to a super sleek TV that doesn’t need a digibox. 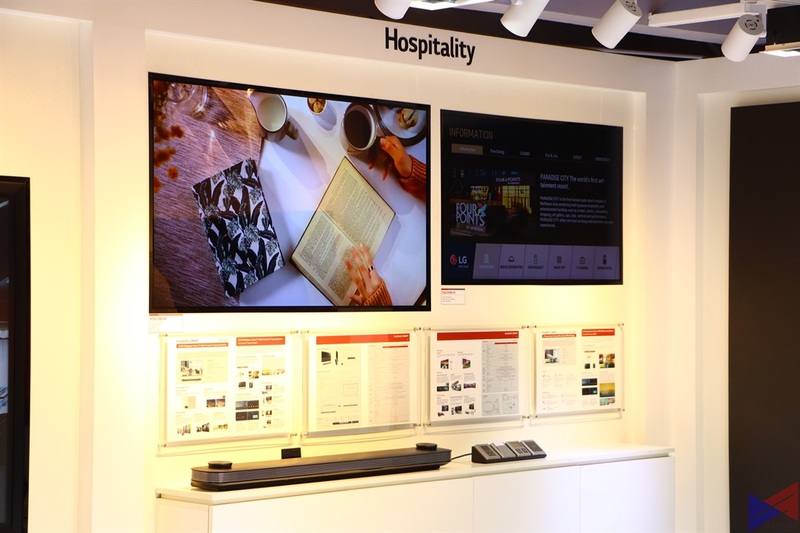 Each display is even powered by LG’s Pro Centric solution programs, which are specifically designed for hotels. LG’s selection of OLED signages can be as thin as two credit cards, or can even be absolutely transparent depending on what the business needs. 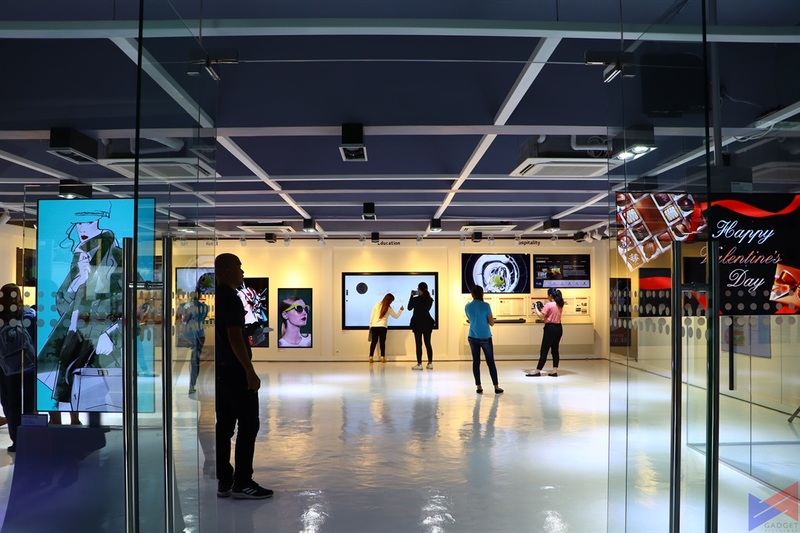 LG’s unique showroom is also available for technical seminars and partner training sessions, so corporate teams can experience top-of-the-line technology for more effective knowledge transfer. Interested parties may contact LG Electronics Philippines to schedule an appointment. The LG Electronics Philippines Information Display Showroom is located at 15 Francisco Legaspi St., Brgy. Maybunga. You may contact (02) 902-5544 or visit https://www.lg.com/ph for inquiries. Emman has been writing technical and feature articles since 2010. Prior to this, he became one of the instructors at Asia Pacific College in 2008, and eventually landed a job as Business Analyst and Technical Writer at Integrated Open Source Solutions for almost 3 years. Counterpoint: Realme Ranks 4th in Indian Smartphone Market for Q4 of 2018! Vivo Shapes the Future of the Smartphone with the APEX 2019!